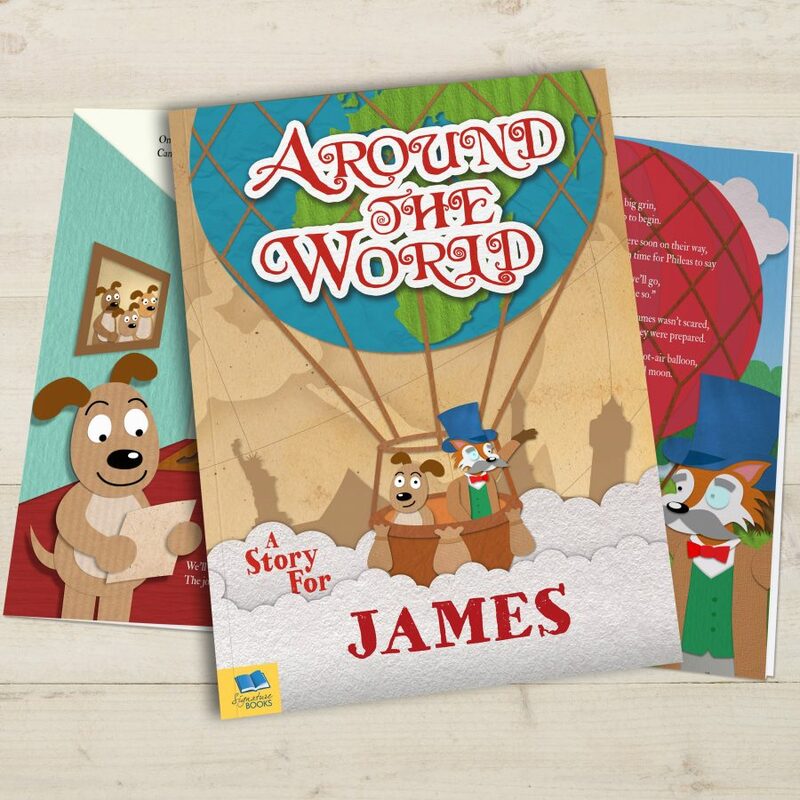 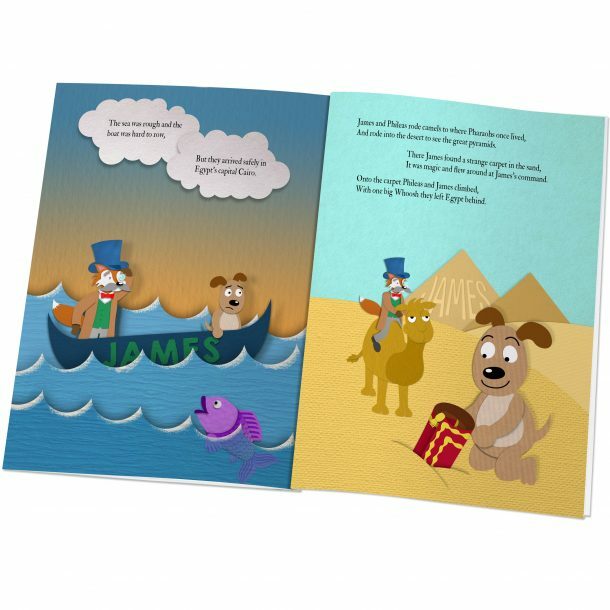 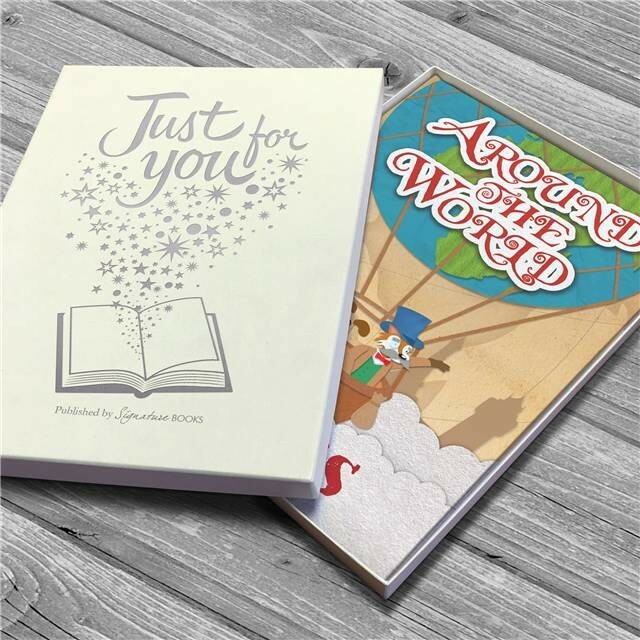 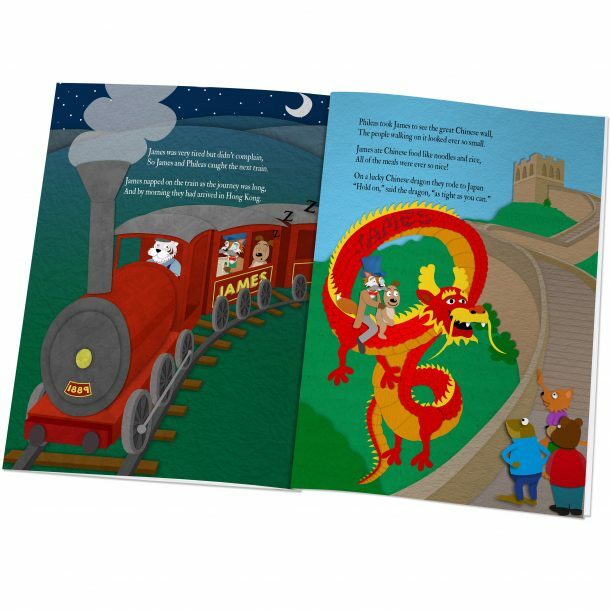 Our Personalised Around the World Softback Book takes your child on a round the world trip with Phileas Fox taking in Europe, Egypt, India, China, Japan, Australia and the US. 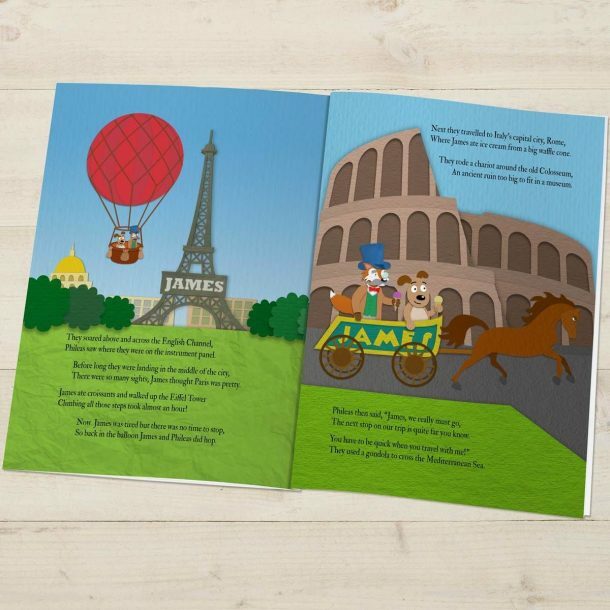 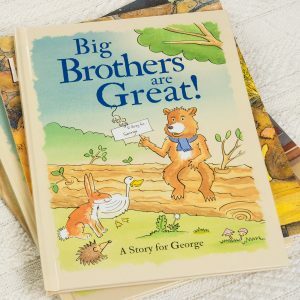 The child’s name appears throughout the rhyming text and is also featured amongst the images in the book. 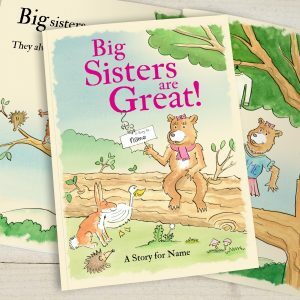 This beautifully illustrated personalised book is a fun guide to introduce children to the big wide world, and will also help them to start to recognise their own name! 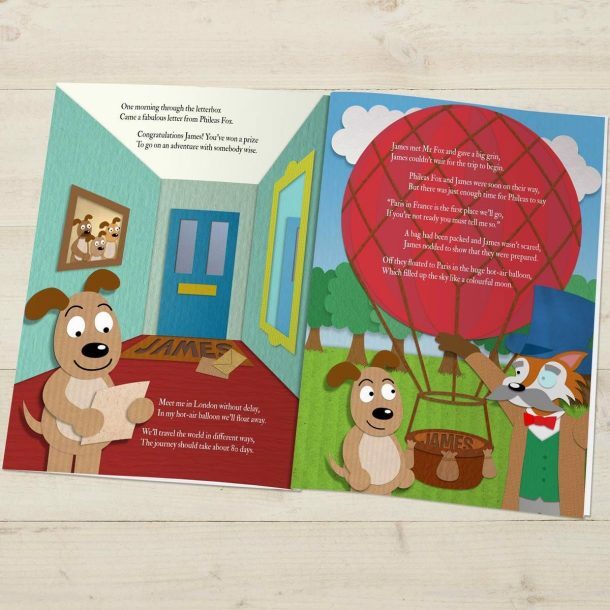 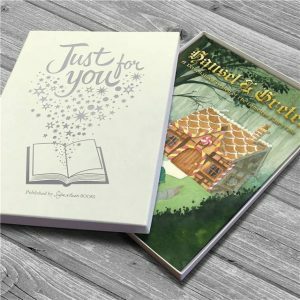 You can enter a name of up to 12 characters which will be printed on the front cover, and the title page has a personal message space where you may add any message for them over 2 lines using using 40 characters per line. A super Birthday or Christmas present for any girl or boy.